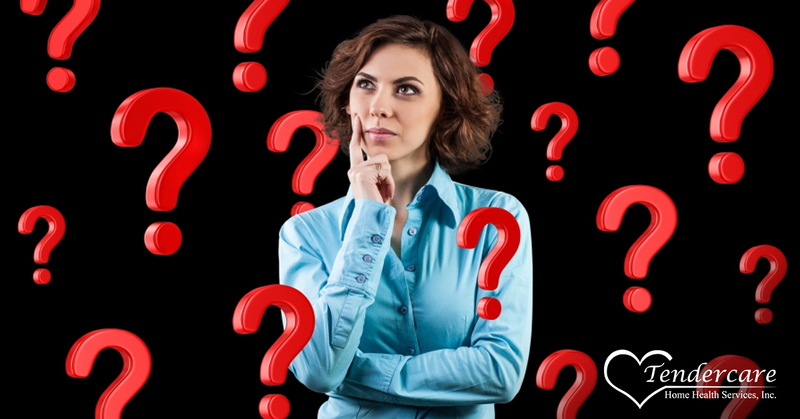 Why Choose Tendercare For At-Home Care? In our previous blogs we have been discussing the advantages of at-home care and why it makes sense to have nurses take care of you (or your loved one) in the comfort of your own home as much as possible. But we haven’t discussed why you might choose Tendercare, specifically, to perform these home healthcare services. What makes us special? Today we’d like to offer you a few reasons why you should consider Tendercare as your home care agency. Generally, when a nurse sees a need that will help people, he or she is often compelled to do something about it. That’s what happened to our founder and president, Leslie Deitchman. More than 20 years ago, Leslie was an RN who discovered Indianapolis’ need for high-quality at-home care, so she and her husband started Tendercare in 1994. Their core values of helping people and showing them respect have become the Code of Ethics featured in our last blog. Because of the quality home care services we have offered over the decades, Tendercare has grown steadily. We now employ more than 400 people, most of whom are nurses. What are the advantages of having such a large staff? First of all, having a larger staff means we have a a larger pool of nurses on-hand who are trained in home healthcare situations. Second, we do our best to have backup nurses on hand if your regular nurse becomes ill or takes a well-deserved vacation. We’ve been around providing home care services for quite a while now, and have therefore built a reputation in the nursing community as a place nurses would like to work. We are able to draw the best nurses around to us. 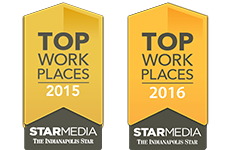 In fact, we’ve been rated a Top Place To Work by the Indianapolis Star for four years running. Medical equipment is always changing in the nursing world, and that’s why it’s so important to train on the best ways to use it. Because many of the units that are used during in-home care are different from those used in a hospital setting, it’s incredibly important that our nurses are up-to-date on the latest in medical equipment. We’re constantly training on the new equipment and methods so that we can offer the best homecare services available. Actually, ignore that heading. We don’t treat conditions, we treat the people who happen to have conditions. Once again, our large staff size allows us to treat many ages, as we provide pediatric home care, senior home care, adults with disabilities, home occupational and physical therapy, and speech therapy. 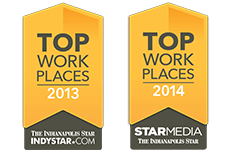 We provide nursing services to the Indianapolis area so that people can have excellent home healthcare whether it’s once a week or 24/7 care services. At Tendercare Home Health Services, we’re dedicated to our patients, and that means putting them above all else. If you’re in need of our services, be sure to contact us.